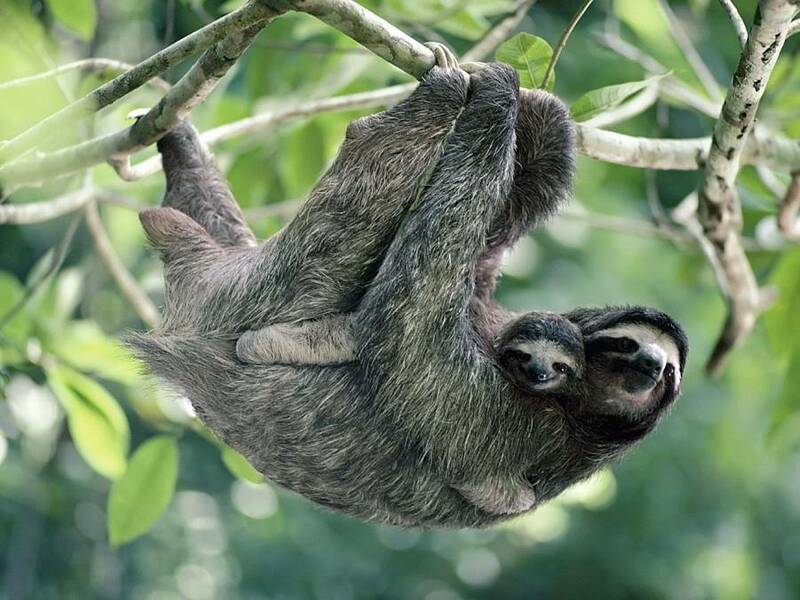 A cool baby sloth fact is that a baby sloth is able to cling to it's mother's fur within the first few moments of birth. 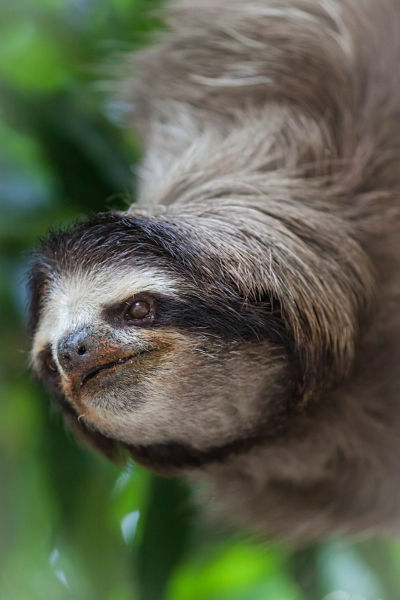 Both two-toed and three-toed species of sloth have a very strong natural grip instinct that allows them to cling to their mother's back or belly as she moves through the trees. 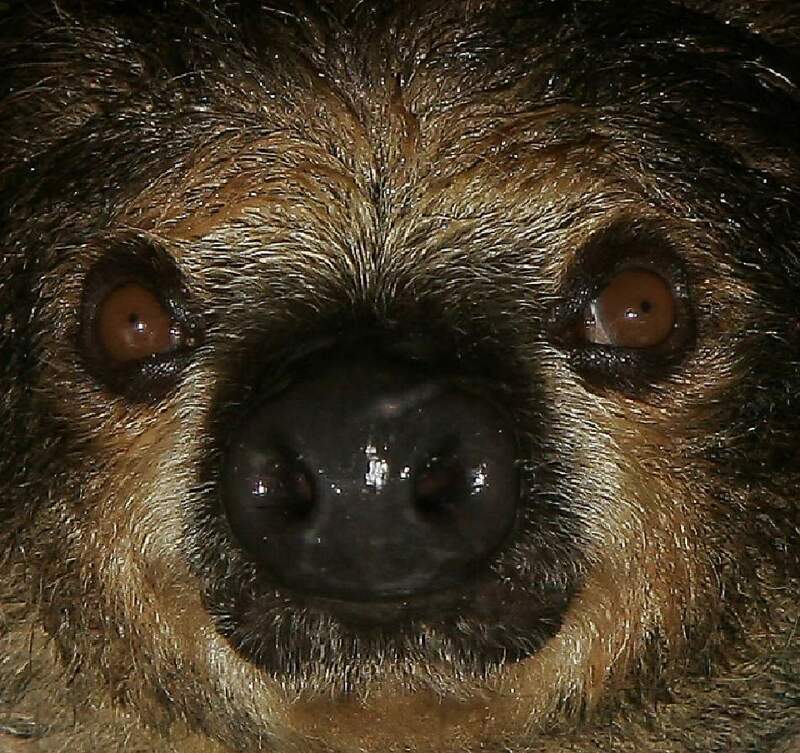 The mother sloth gives birth to one pup after about 4 months of pregnancy. The baby is born fully furred, eyes open, and able to climb. It's mother may feed it leaves that it has partially chewed directly from her mouth to get things started. 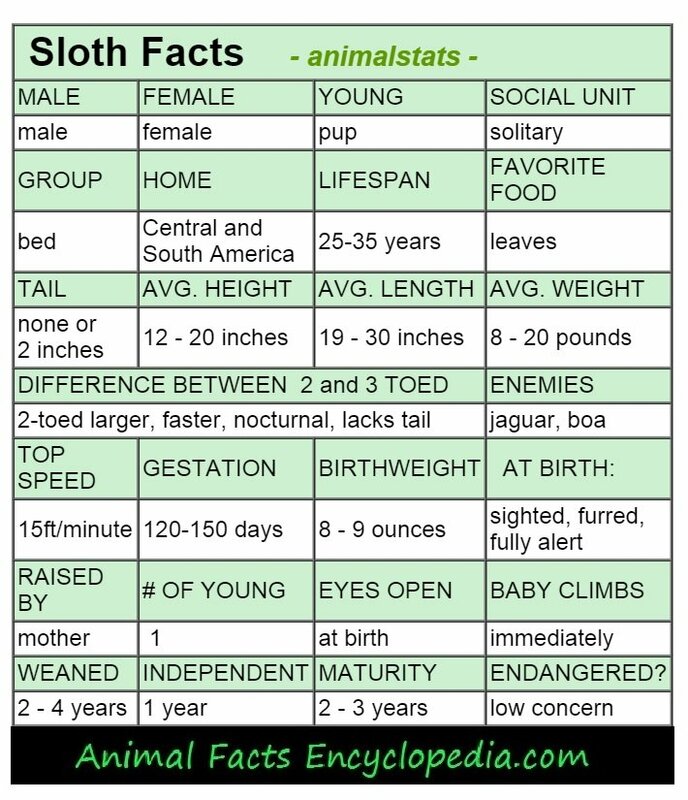 A baby sloth will stay with it's mother for the first year or two of life, and then will move to it's own territory, usually just a tree or two away. 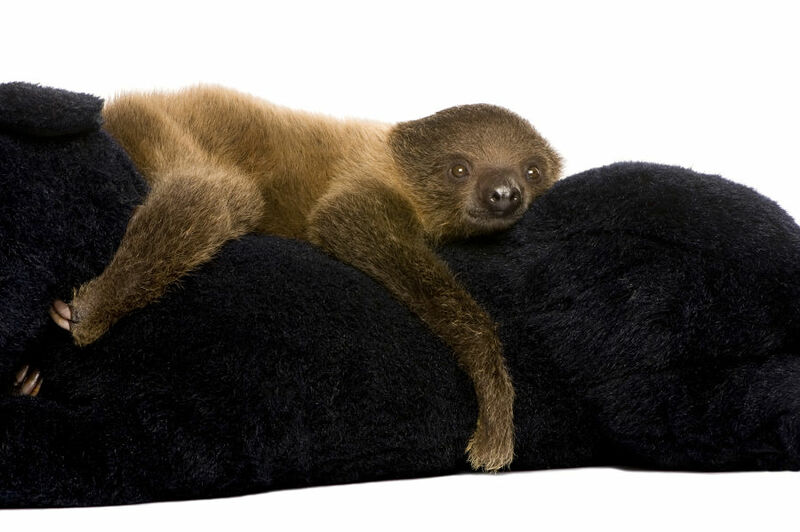 Sloths are small slow-moving animals that live in the trees of South and Central America. They are specially designed for life in trees, with huge, curved claws that allow them to grip branches. 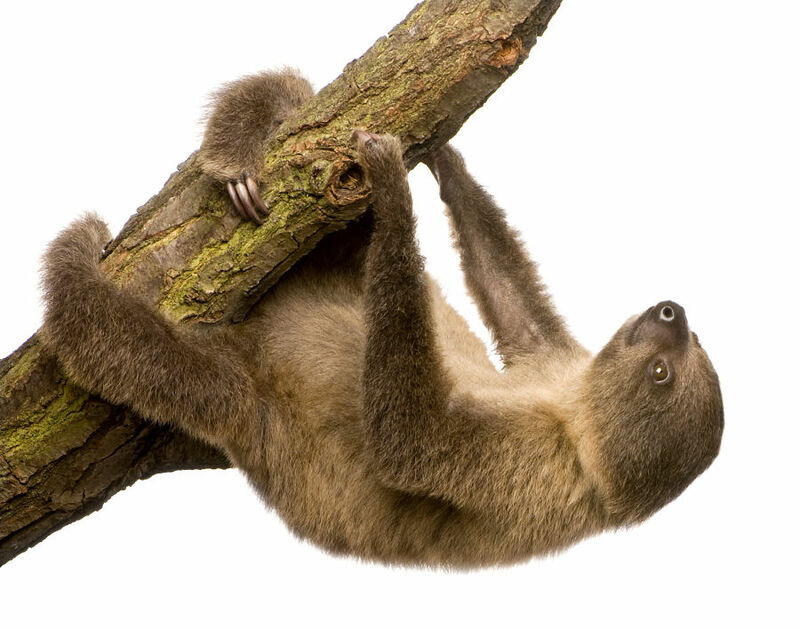 Ligaments in the claws and limbs lock in place, and allow them to hang effortlessly while they eat or sleep, safe from many predators. 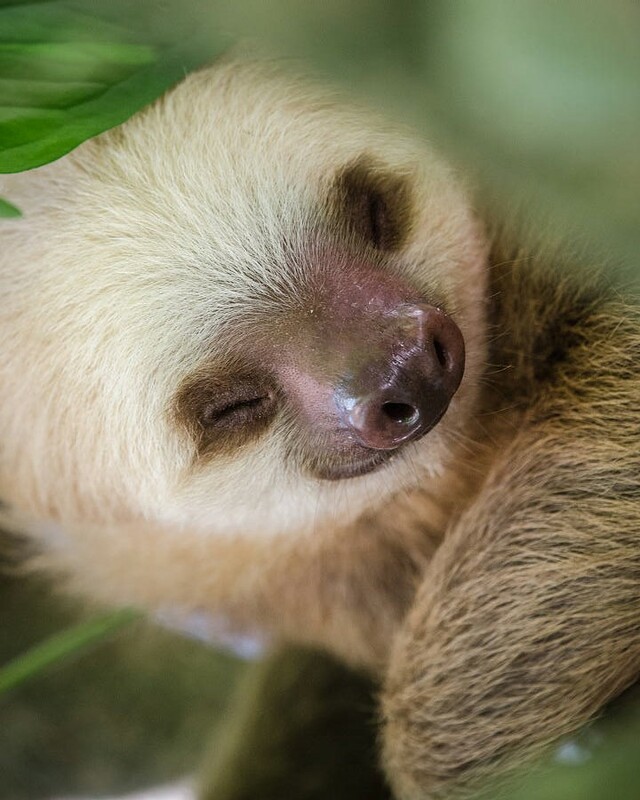 Sloths come in two and three-toed varieties, and are closely related to anteaters which have similar large, curved claws, but while anteaters are insectivores, and exist almost entirely on insects, sloths exist on a diet almost entirely of leaves. Their diet is so low in nutrients, that they have very low energy, and thus move very slowly. Their stomachs are filled with micro bacteria that help breakdown and eventually digest their food, but the process takes so long that a leaf consumed in August might not be eliminated until October.